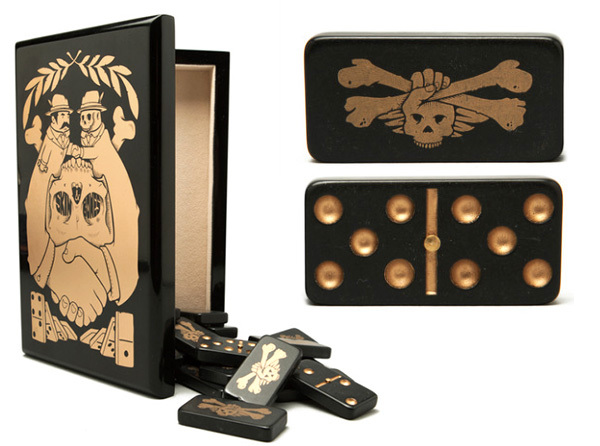 Jeremy Fish Skin & Bones Dominoes Set - Comes with 28 pieces all featuring artwork by Jeremy Fish, all in black with metallic gold ink. The box measures 8” x 5.25” x 3.75” and features a magnetic locking hinge to it. Made by Tools of the Trade. 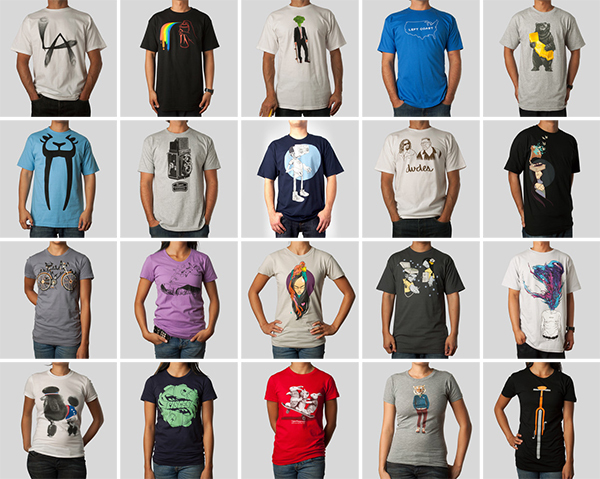 And a t-shirt of your choice from their massive amount of options! Everything by Koralie makes me happy! There is a bar here that used to host some great bands. It was dive-chic before that was nostalgic and grand. I saw guitar wolf there when I first turned 21. 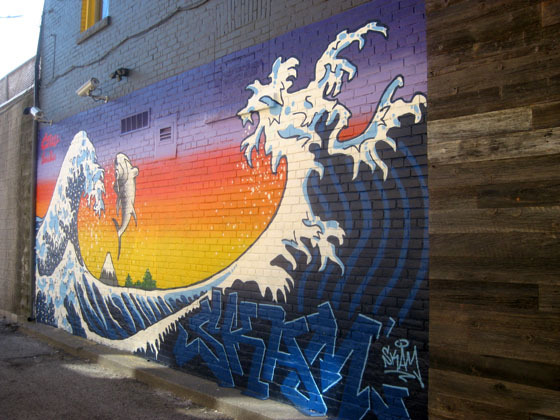 The whole outside parking lot was always host to some amazing full-blown graffiti murals. I miss them so much. would definitely have to be my own reflection as i walk to work. it’s a performance piece - VERY ironic. brand spankin new. art in progess. 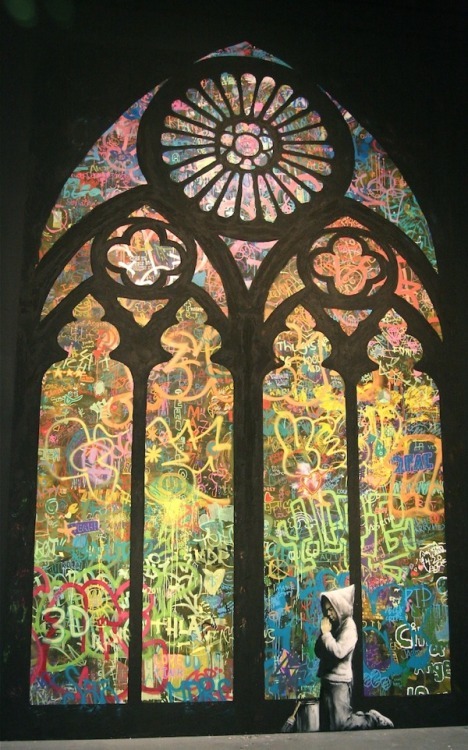 anything Banksy….gotta go with a solid choice here. I love those perspective chalk-ups that look so insanely awesome in pics. Pretty much anything on the streets of Valparaiso, Chile… This one’s a recent personal favorite. Anything tom hanksy absolute favorite! I just think it’s so creative simple and fun. 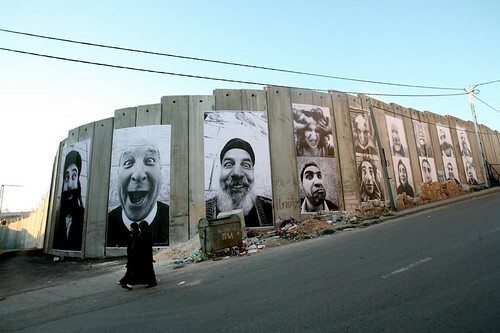 TBH, I have a very narrow definition of what is “‘good’ street art” to me, and I don’t care how trite it is to bring up Banksy: his work is clever enough for me. Also, my favorite piece I’ve seen on the street wasn’t even really art per se: a piece of paper stapled near a telephone pole of a particularly long light with the words “Accio Broom” on it. Ashley mentioned and linked to some happy mailboxes. I live a block away from them and of all of the many conversations those two have had during the elections one mailbox said “I voted”, to which the other replied, “me too”. This week they are just plain old mailboxes again (thanks to the city of Denver I am sure) but who knows what they will be talking about next. I think this piece by TOPO in Portugal is a great example of street art empowering and bringing life to dull walls! 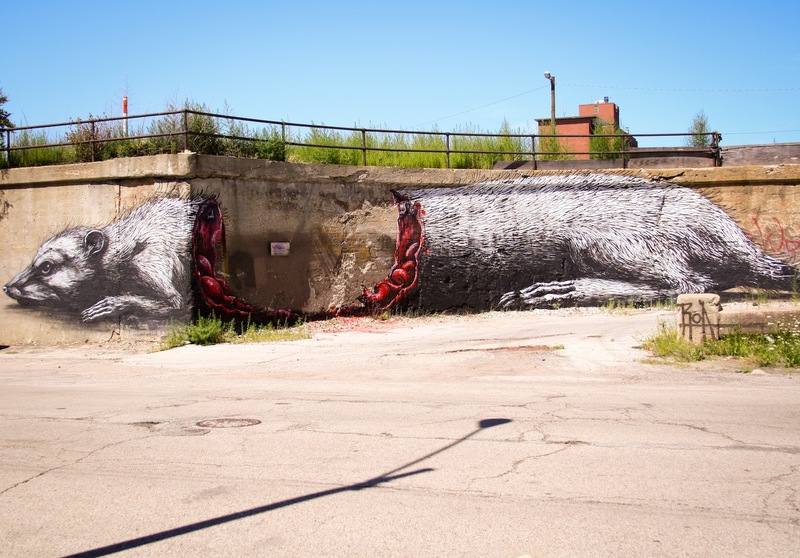 Love this piece by ROA. 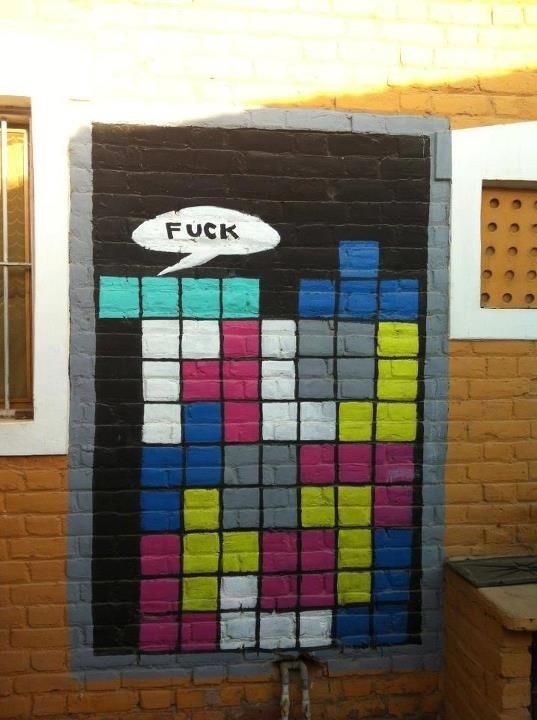 Such clever use of the wall. There are some storm drains in Tulsa, OK with three black cat faces painted on them. They are random and neat, but can also be creepy when walking in the park at night. Not that it’s art, but I just love quarters glued to the ground. Not that I would do that; I’m too poor. 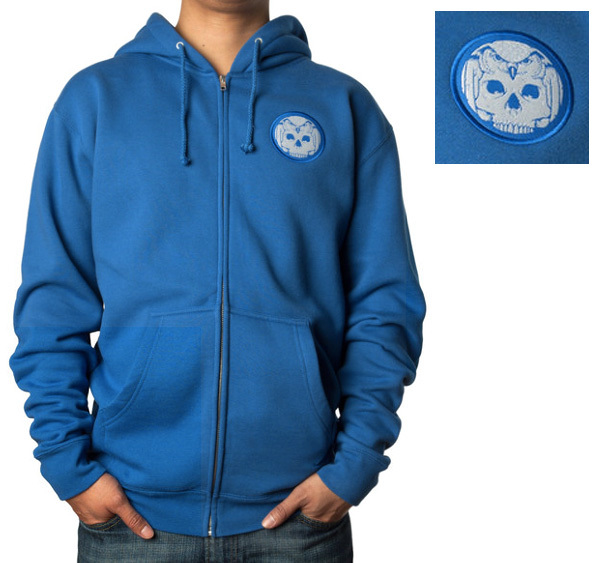 Driving in Torrance, California I saw a giant Yellow Happy Face with a human skull peeking out the mouth. A squirl with a balloon in Memphis, TN. 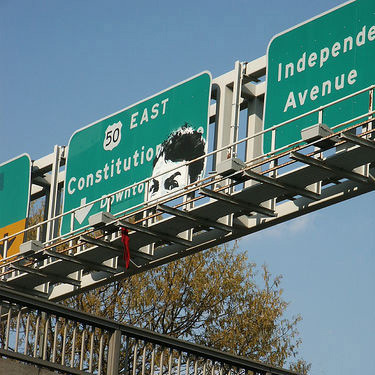 It looks like Banksy did it, and stirred up the web for a min once it went up. Miro on Las Ramblas in Barcelona. unfortunately, it was painted over. so heartbreaking. I don’t know who the artist of this particular piece is, but it’s certainly influenced by the works of Alphonse Mucha. My friends and I won an art contest with this piece! 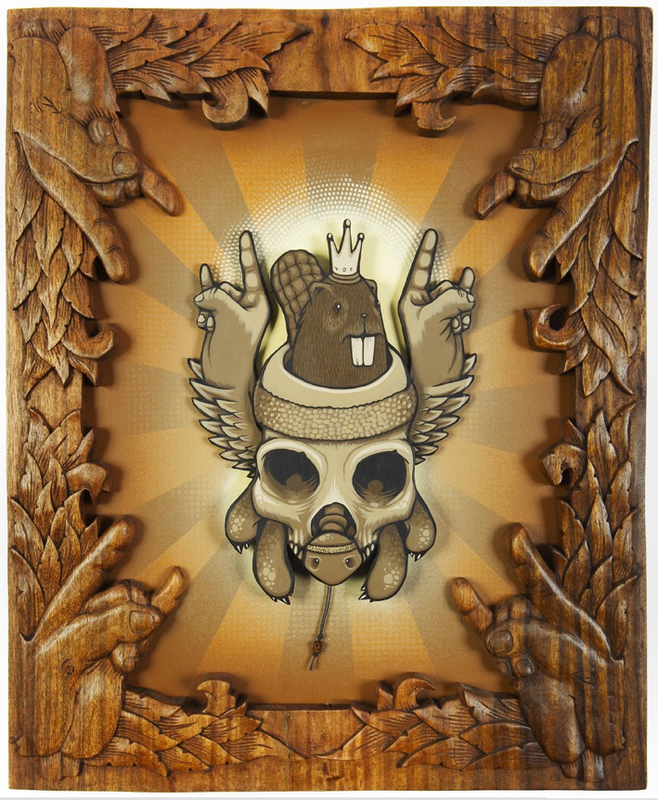 Best street art is Jeremy Fish’s work around SF. The giant pink bunny head on Octavia is my favorite! This piece between Souly Vegan and Bear Revolution in Oakland. As you can see he’s also a pretty legit makeup-fx photog as well, and works with a lot of alternate processes. Raccoons are the new puggles! Seattle street art done right. Invader’s work! I love the tiles. 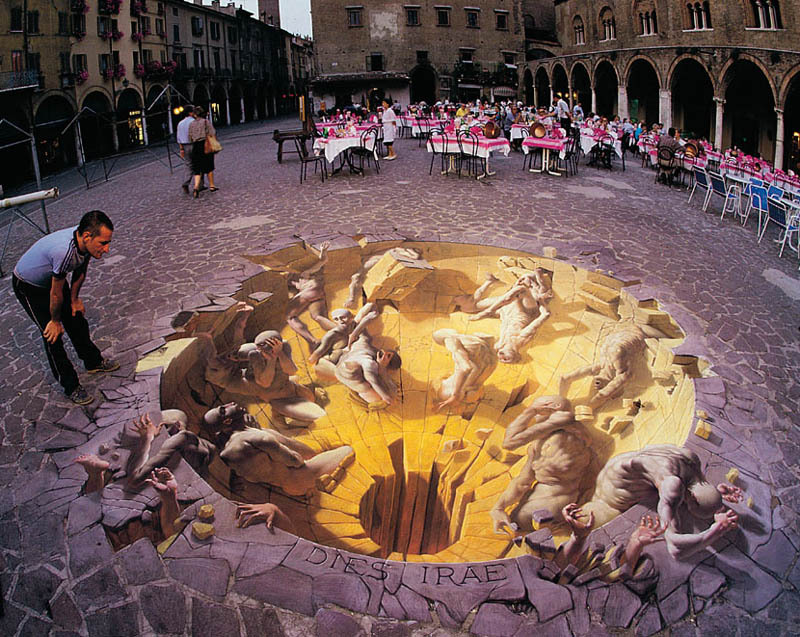 I love great chalk art, the beauty and the temperal. 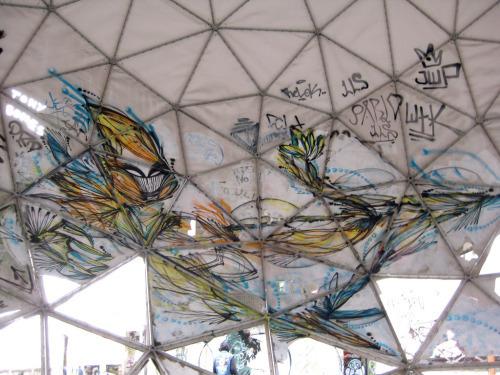 A friend of mine who was a history major showed me this chariot piece a few years ago and it was just amazing (http://www.brooklynstreetart.com/theblog/wp-content/uploads/2010/07/Brooklyn-street-art-Nomade-cullin-tobin-web-1.jpg). Bought his woman are heroes book recently and can;t help but love everything this guy does. Os Gêmeos’s The Giant of Boston. Such fantastic use of the space it just blew me away. In my city, the You Are Beautiful campaign has been terrific. Not necessarily great street art, but a great message. The mural under the bridge down the road from me. Makes me proud to live where I do. 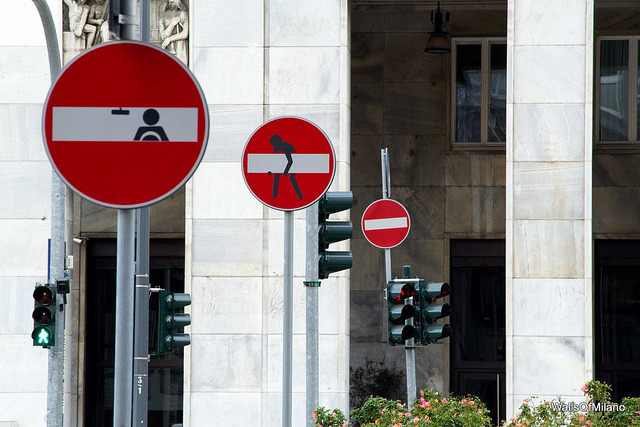 old pixel art on street signs in TLV Israel, including one on my street that was recently smashed :( Yochai Matos. I dont get to see much street art in auckland as the council is pretty quick at taking it down (even stuff where the artist has gotten permission from the wall owner or has actually been comissioned to do some work) but it was really nice to see some well done letterform graf up on the side of an inner city cafe one day. The giant LEGO trees and flowers that were around Sydney a while back were awesome. The Detroit Beautification Project featuring REVOK! 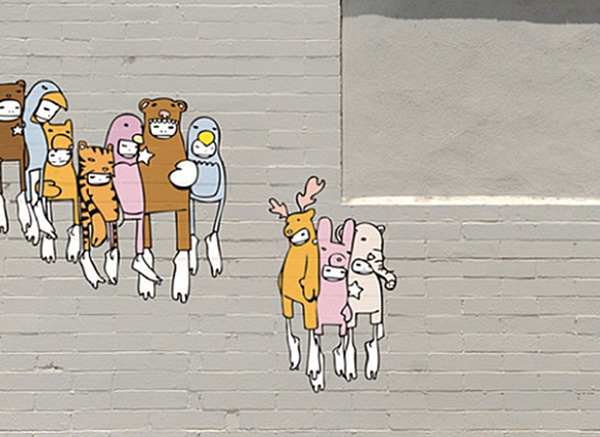 the best street art comes from The Giant Storybook Project,hopefully win the package. One of the walls near where I live is painted neon pink with shadows on it. Very cool at night. He makes beautiful black and white portraits of animals. This is a pretty sweet kit! βασανίζομαι (i am being tortured by myself) tag for the win! 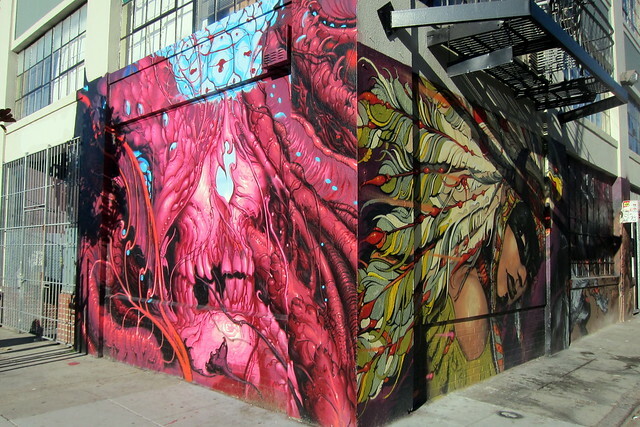 I love both JR and Swoon. 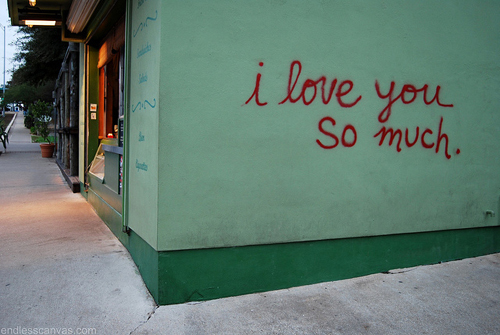 This simple street art in Austin, TX makes me happy every time I see it. I love Jeff Soto’s works. His piece done using the Chevy Sonic Robotic Arm is pretty cool. Because It’s adorable and beautiful. It’s something that if even done without permission you couldn’t get mad at or want to paint over. There are so many. I could start a tumbler page. This is a recent piece of an Owl in Toronto that caught my eye. http://209.50.249.194/images/content/142288.jpg got me hooked on the stuff. One of my favorite artists is Jeremy Fish, the complex simplicity and elegance of telling stories with animals and lines, pure beauty. Definitely digging ARYZ lately. Amazing stuff. The best is yet to come. Don’t look back, be excited for what the future artists will showcase. 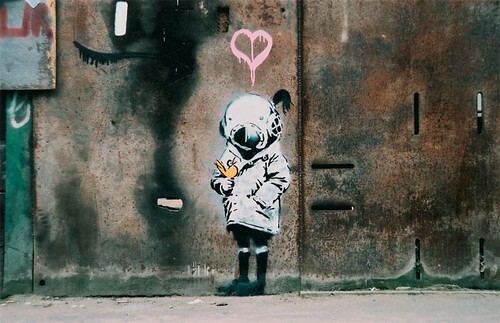 Banksy is one of my favorite too! Give me any Montmartre wall. I can walk those streets for days. I love the miniature-medium work that Slinkachu does. So small and so beautiful. Graffiti Saved My Life… because it’s true. 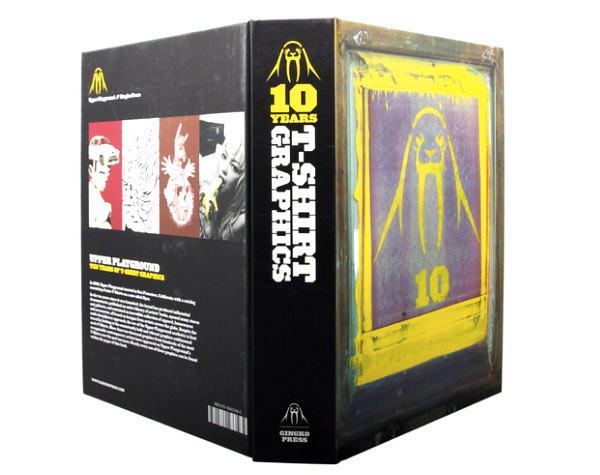 I think MTO’s stuff in France is pretty interesting. those miniatures that people leave around. 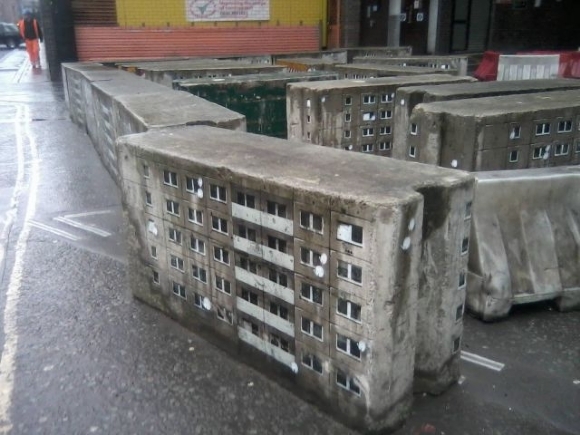 3D street art! They are simply mind-blowing! The Fun Factory in Long Island City, Queens, New York. It’s right next to PS1 so you can walk through and see some of the best street art, graffiti and stencil work in the world and then go to one of my favorite contemporary art museums. Just take the 7 train. Anything by Keith Haring or Basquiat. I’ve always thought the Tiki Jay street art of the Easter Island heads around LA were cool. He even did some cement castings and placed those in various places - pretty sweet! I love it when people crochet around park benches and trees. Banksy for “follow your dreams” in Boston. 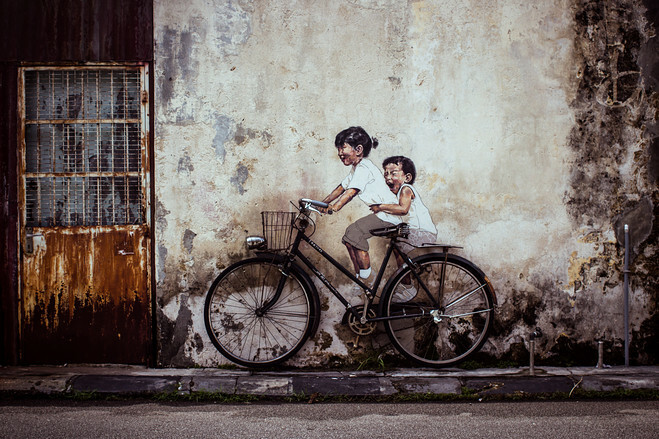 C215, the illustrative quality in the artwork is amazing. That building with all the bubble gum stuck to it in Philly. The street art in the Krog Street Tunnel in Atlanta — it’s every changing and always dope. So much to choose from but one of my favorite artists are Sten & Lex. Just a taste of the SD streets Romali has fresh style, its his own style and he demands a lot of respect from writers all over. Shout out to writerzblock, wildstyletechnicians, and tHE aRMORY. I love random yarn bombings. They always give me a good laugh. My favorite was subway art. In one of the passages leading between different subway lines in the NY subway, there used to be the most cynical text. Everyone who walked by it must have damned and blessed the artist for capturing the daily grind so well. The Green Carpet in Jaujac, France. I like these “Compassion Wizards” Ryan Henry Ward puts up around Seattle. 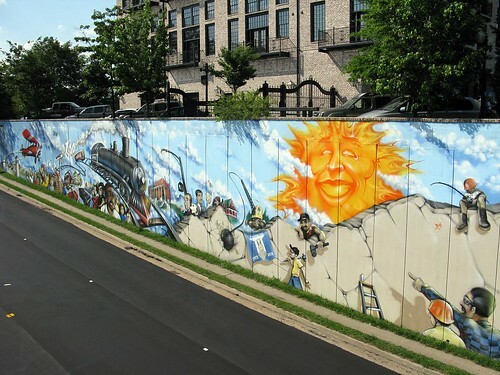 When I was in Spain, specifically in and around Madrid, the walls along the freeways were practically covered in colorful art and I thought it looked so much nicer than just the usual drab gray concrete. I know it’s been mention already, but ROA is hands down one of my favorites. Impossible just to choose one piece, though. How to tie a tie. Seen in Reykjavik. Or tie a tye? Maybe tye a tie? Possibly tye a tye. wall stickers! what a genius idea. A wall that used to get covered in gang tags. 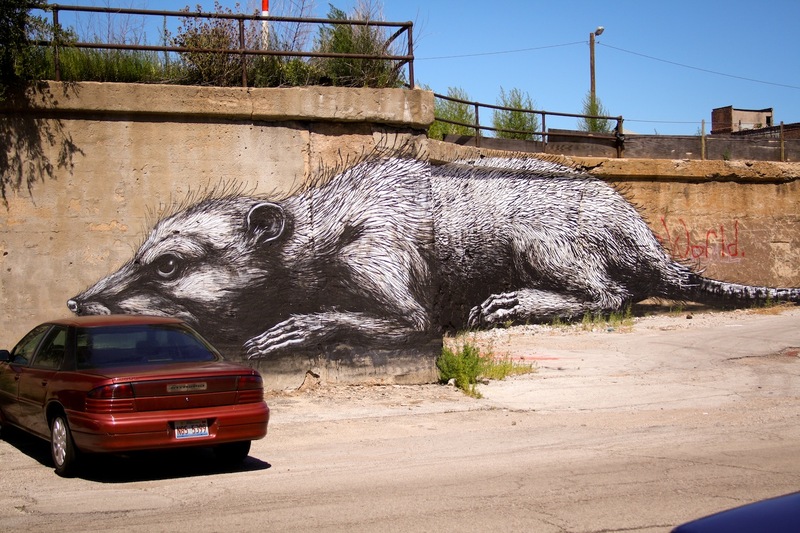 Hasn’t been touched since this MASSIVE ROA piece was put up. Love the view of Chicago over the shoulder! I hope to bump into a Red Ball Project someday. I can’t say I have a favorite, but there are a lot of great pieces around San Francisco. 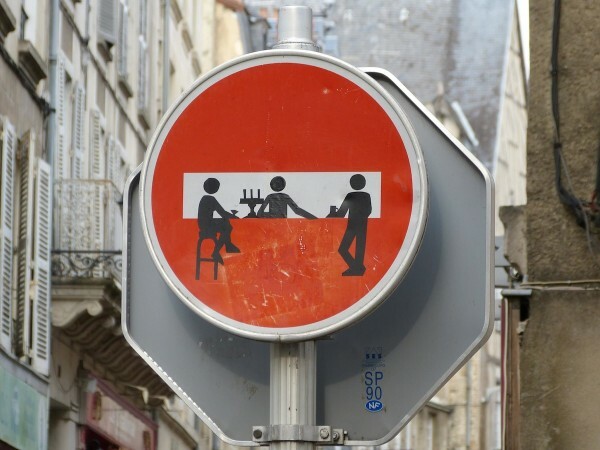 I love this Street Art…What do you think.. 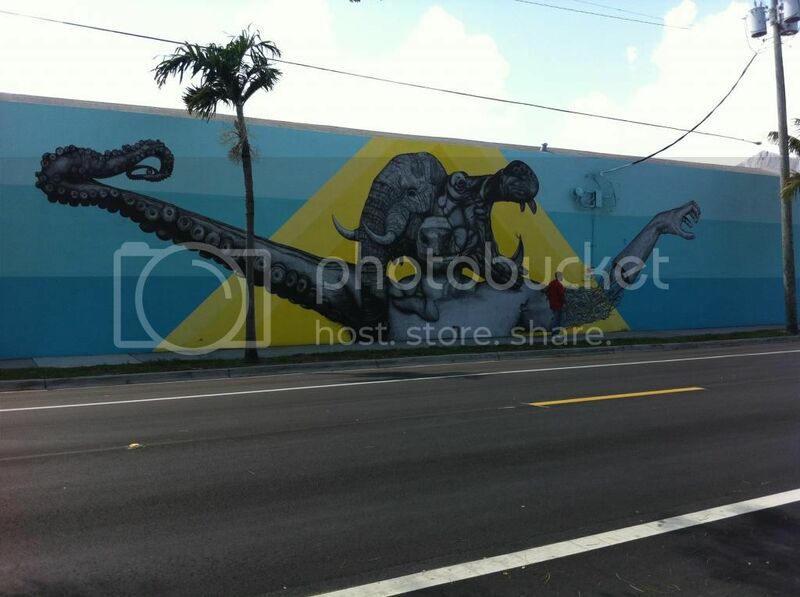 There is a new mural that went up over the last week in Miami during Art Basel, At 99 NW 25th Street, by Greg Simkins, Dabs Myla, and others. Wonderful piece. I’ve been following the progress at @craola on Instagram but can find no other reference to it on the net as of tonight. I’m partial to the Toynbee tiles, just because of the bizarre conspiracy theory narrative behind it all. Augustine Kofie. Pushing the concepts of street art. Beautiful. 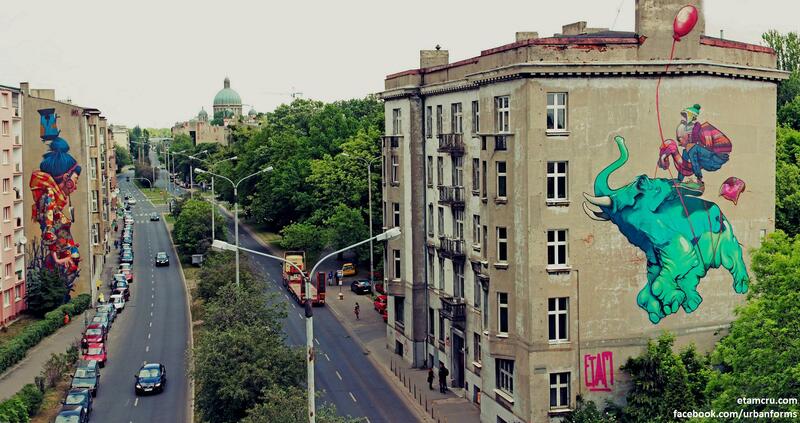 One of my favorite pieces of street art must be made by Aryz in Poland. 2) It has turned a giant, hideous, grey wall into something beautiful. 3) It’s made in my homeland, from which i moved at a young age and miss very much. Definatly this building by Buff Monster. Both this structure and piece by Shida are so inspiring to me! Bowery/Houston Street Graffiti Mural Wall In NYC - http://bit.ly/xNnqe3 - After finding out Keith Harring was the catalyst to this ever changing wall on Houston, I love it even more! He’s simple. blunt. and honest. enough said. NoonGun is her photo tumblr. One for each day. This is one of my favourites. Not exactly rogue street art, but I love anything by Alexandros Vasmoulakis and would love to see vibrant art like his on the walls of my streets.